Why our skin needs collagen? Collagen makes up 75% of the skin. It maintains suppleness n skin structure and skin elasticity. It also helps to retain moisture. Our skin internal support structure degrades, loses firmness, decrease in hydration level, and wrinkles appear due to deficiency of skin collagen by natural aging process, pollution, sun UV Rays, smoking…etc. Replenishing collagen can effectively reduce wrinkles and have a younger looking skin. Collagen has a fibrous structure – each large collagen strand is made of smaller collagen fibers. This multi-strand nature of collagen is where it gains tensile strength and resilience, but makes it a huge structure when compared to skin cells and not able to be effectively absorbed by the skin. 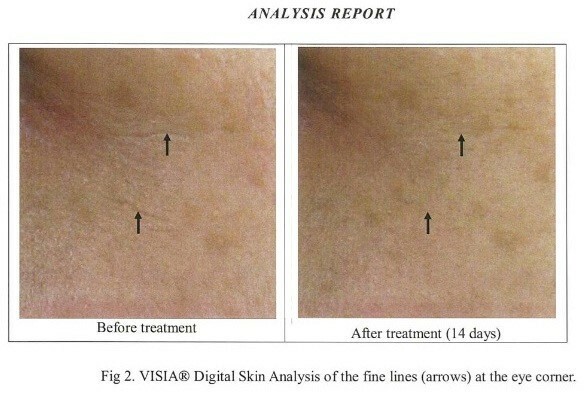 It cannot reach under the skin to replenish the loss/damaged collagen structure. Lacfin Anti-Aging One Step Revive Cream uses the world’s only advance and unique Micro Collagen Technology patented in U.S.A. The technology refines large collagen molecules into micro collagen. It is easily absorbed effectively and deeply by the skin to the collagen level. The collagen level of the skin is quickly replenished and start the renew process. Why Is the Lacfin Anti-Aging One Step Revive Cream Different From Others? Safe – Lacfin Anti-Aging One Step Revive Cream uses natural plant collagen. 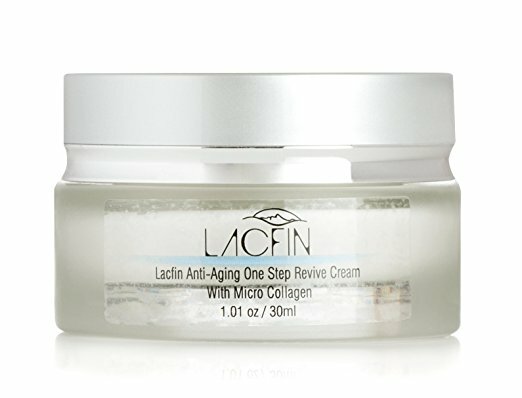 Effective and Easy to use – Lacfin Anti-Aging One Step Revive Cream uses U.S. patented technology to create Micro Collagen. Easy to absorb by skin. Plus, all active ingredients are refined to micro level. No need to worry about large molecule ingredients that prevent effective absorption of active ingredients. Scientific tested result – Lacfin Anti-Aging One Step Revive Cream formula has been tested by TÜV Rheinland Group. Appearance of pores reduced by over 25%, Increase smoothness by over 26%, Elasticity improved by over 12%, and Increase hydration by 18%.